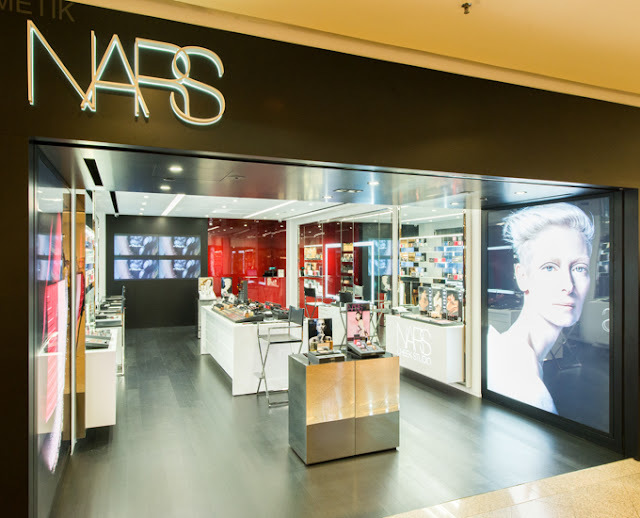 NARS has opened their 2nd boutique in the heart of Klang Valley - MidValley! Congratulations to NARS and the Malaysia team for bringing NARS nearer to people who live around PJ area, I'm sure they will be thankful that they don't have to travel all the way to Pavilion KL to get their favourite makeup and beauty needs from NARS. 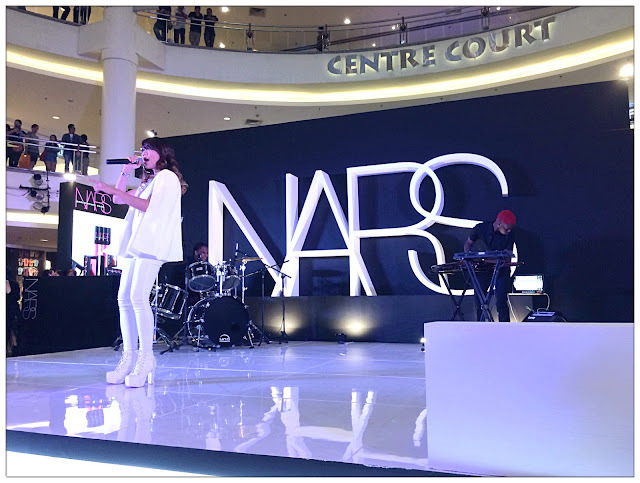 There was a celebration party held at the centre court of Mid Valley Megamall few days ago and the event was filled with glitter and glamorous names of Malaysia celebrities. 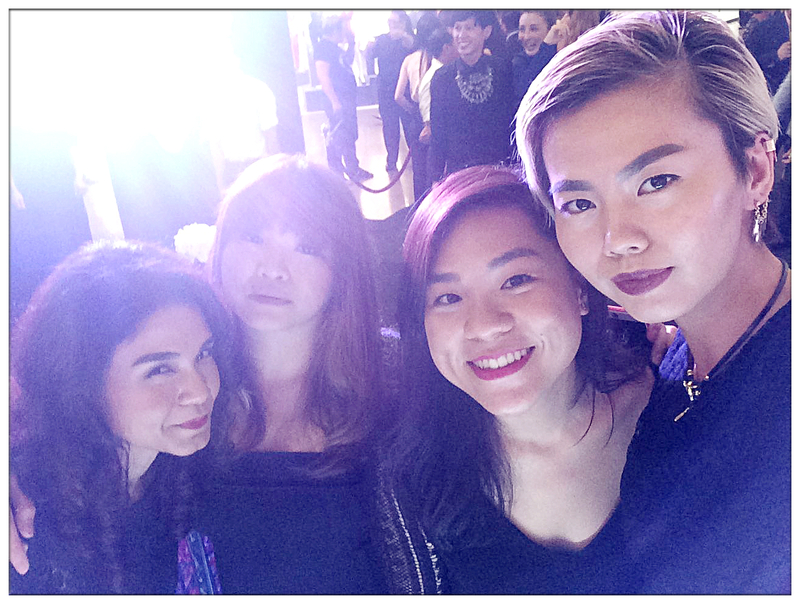 Not to mention also top makeup artists around Malaysia are gathered here too to witness another great start of journey by NARS Malaysia. 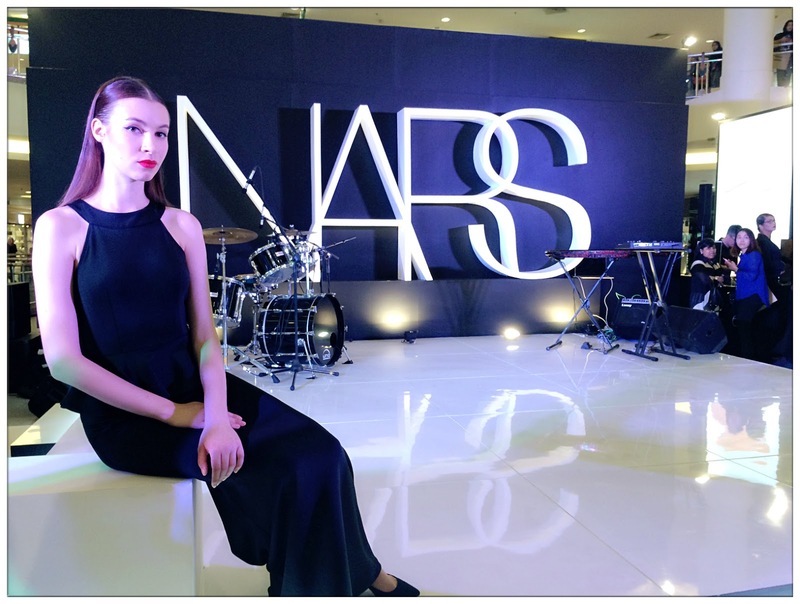 There are models around, showcasing NARS latest makeup trends which you can get all the products used by makeup artists on these models at the nearest NARS store near to your place. 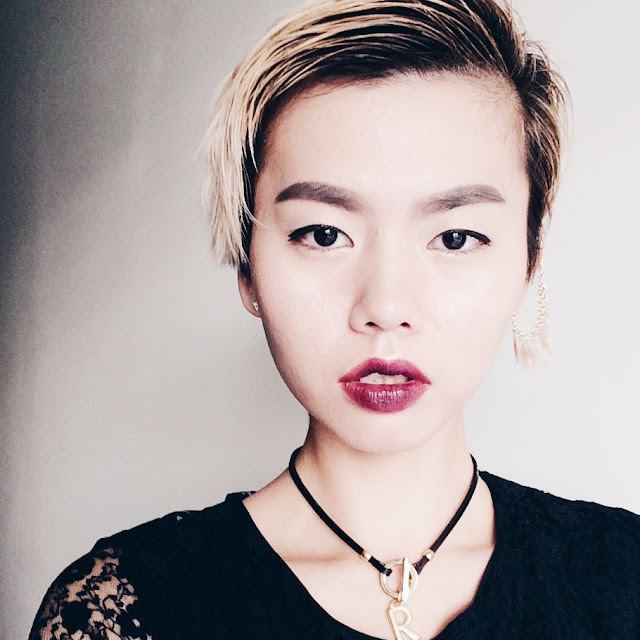 Bold lips, one of my favourite makeup style! 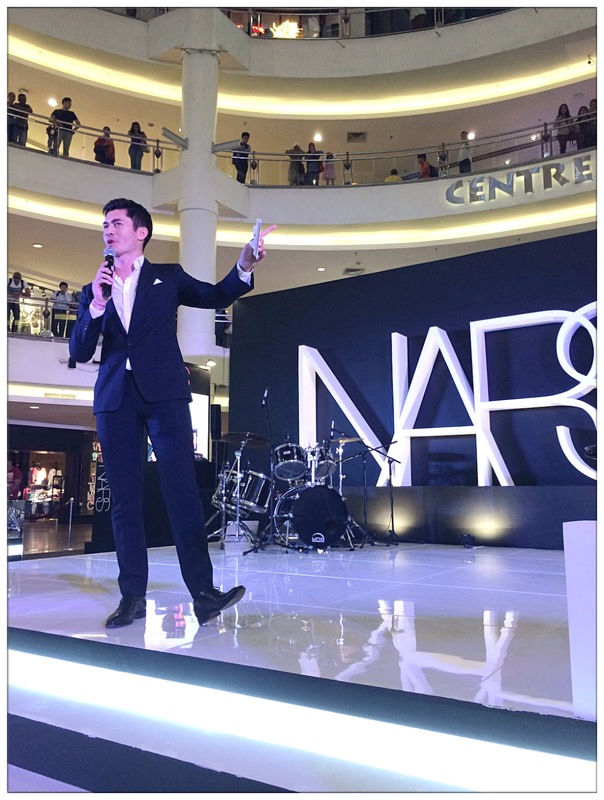 The event was hosted by the handsome and charming emcee: Henry Golding. I can see that the ladies have sparkles in their eyes when Henry was hosting on stage. There's no celebration without a toast! 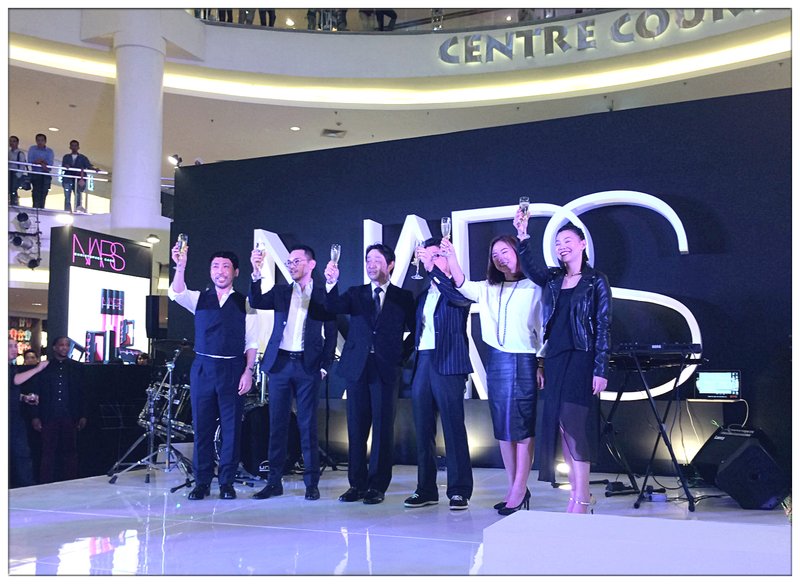 Here's to the second NARS store in KL and I hope, many more to come in the future! The celebration party was heated up with performance by the dope Hunny Madu on stage, awesome performance. This is the first time i see her perform in real life I have to say that she's really talented! 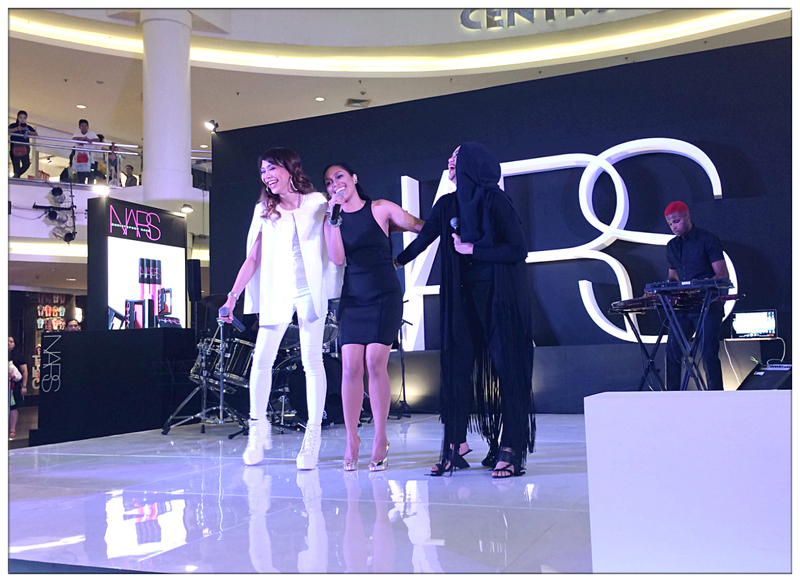 And the next thing we realize is the performance was then joined by Najwa Mahiaddin and Dayang Nurfaizah. These powerhouses performed a few songs and the crowds love them so much and there was even a dance and sing along. 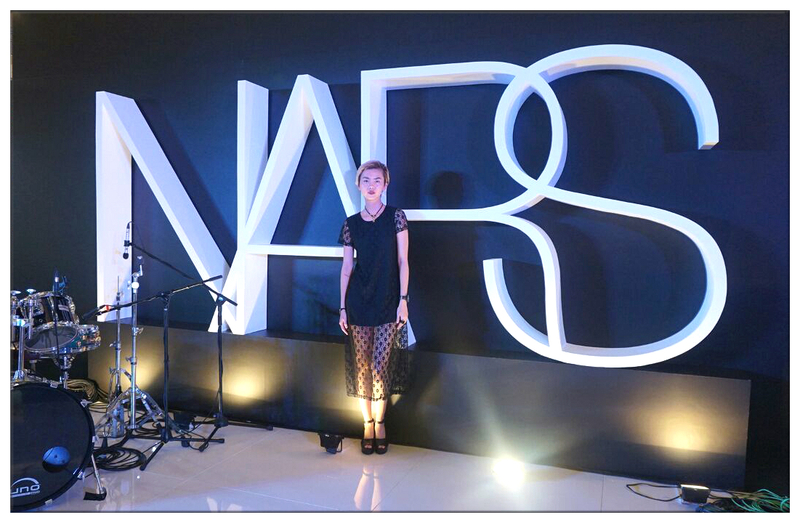 It was a fun night to get to hang out with all the celebs and big names in the makeup industry, together celebrating for NARS' another achievement. Definitely have to thank you all these wonderful people that made the night even better. François Nars started NARS in year 1994, bet he wouldn't believe back then that he'll be able to place the 2nd store in the heart of Kuala Lumpur. Go bold, be audacious and daring, don't settle for anything less than unique! 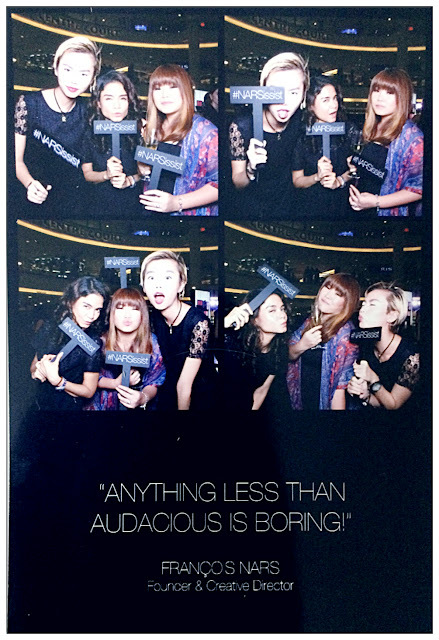 Thank you NARS, definitely gonna make Malaysians go even more courageous in makeup themselves in something special! Who doesn't love photo booth! Lacey dress but not feminine. LOL. 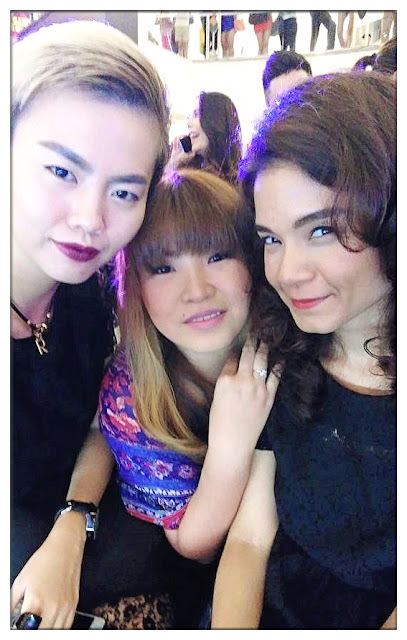 Thank you so much for the invitation, had so much fun at the party! Can't wait to check out NARS latest Private Screening Fall 2015 Color Collection which just arrived in the store. Gonna get my hands on that shimmery new dual-intensity eyeshadow color! 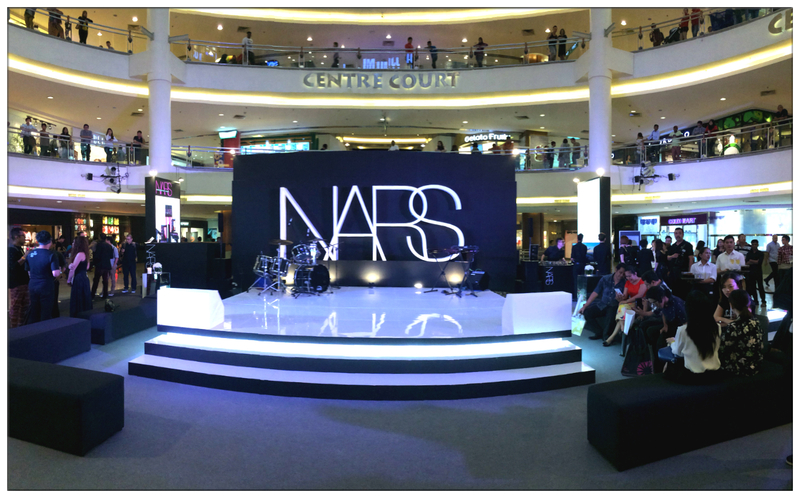 Check out NARS at Mid Valley Megamall today which located at Ground Floor Lot G-058.